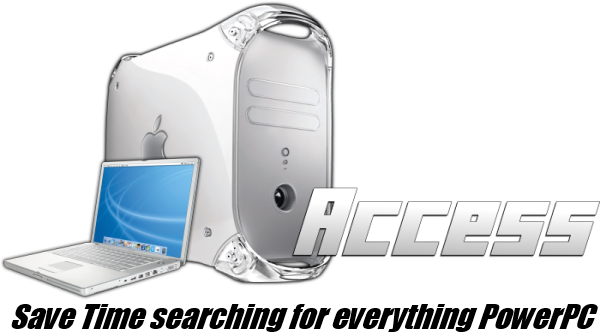 I have many guides on this site telling you how to speed up your PowerPC Mac, but this post is specifically for speeding up your Web Browsing experience. This allows you to load a single website in isolation. since most websites such as Google Maps can be a big job for a PowerPC Mac, it's nice to give it all the power just to that one task as possible. I don't recommend running TenFourFox on anything below G4, but experience may vary, try it out and see how it works for your specific machine. Most Popular websites will have a mobile version of them which can be viewed on a desktop, alot of them will either start with a "m." in the front of the url such as: www.m.cnn.com , and some will have the m at the end of the url such as: http://docs.google.com/m . To find the specific URL of the Mobile Version of a Website you can just google something like "Mobile version of CNN website" , and sometimes you will have to copy the URL instead of just clicking it on google the site will read that your device is a desktop not a smart and therefore load the desktop version of the website, but if you manually put in the URL then it should load the Mobile Site. A lot of PowerPC Macs just don't have a system battery, and the internal clock will get reset everytime you restart it, so setting it to normal time will fix that which this guide shows how to do. If the internal clock is messed up the computer just gets really confused I guess. Don't have more than a few tabs open, plug into ethernet if you can always better than wireless, and the less other programs open while Web Browsing the better. Hope this helps if you have any other questions / problem you need help with please let me know!